Master Sha invites you to watch the video premiere of Love, Peace and Harmony. 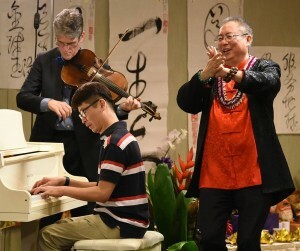 Share the joy with others through chanting, sharing on social media and supporting efforts to increase the happiness and well-being of families worldwide. The pursuit of happiness is a fundamental human goal, according to the United Nations. Happiness often comes from living a fulfilling life that creates an impact on society. Doing good makes you feel good. Happiness is not only a state of mind and a trait, but also a skill. Happiness is an art of living and can be taught, learned and shared. The benefits of happiness include higher productivity, faster recovery from illness and lower mortality, and more peace and compassion, according to the UN. How can you make a difference in the lives of others? Sing or chant Love, Peace and Harmony for 15 minutes. Invite friends and loved ones to join in, and spread the positive energy. Share the new Love, Peace and Harmony video with friends on social media. Support efforts to increase the happiness and well-being of families worldwide by donating your time or money. Learn more below on how you can make an impact on the happiness and well-being of your community. How can you create a happiness practice and share the joy with the world? Join Master Sha live on the Chanting Channel every Saturday, 11-11:30 am PST to chant Love, Peace and Harmony. What you chant is what you become — chant Love, Peace and Harmony for world peace and happiness. Love, Peace and Harmony, the Divine Soul Song Master Sha received from the Divine in 2005, carries the high frequency and vibration of love, forgiveness, compassion and light. Your body naturally resonates with this elevated frequency, and responds by activating good health and positive outcomes in your life as well as in the world. Therapeutic sound healing and chanting balances your energy, restoring your natural harmony and well-being. Your loving vibrations can change the world when you volunteer and provide unconditional service to your friends, family, community and our beloved Mother Earth. By 2020, we hope to inspire 1.5 billion people to chant Love, Peace and Harmony for 15 minutes every day. Please share the Love, Peace and Harmony video on social media. Help us to spread the message of love, peace and harmony throughout the world. Have you experienced a moment when singing Love, Peace and Harmony has changed your life or helped others to be happier and healthier? Share your story on social media with the hashtag #lovepeaceharmony. Our thoughts, words, actions and behaviors can influence others and change the world. You can make a difference in your community by volunteering your time or donating to worthy causes. How is chanting Love, Peace and Harmony making a difference in the world? 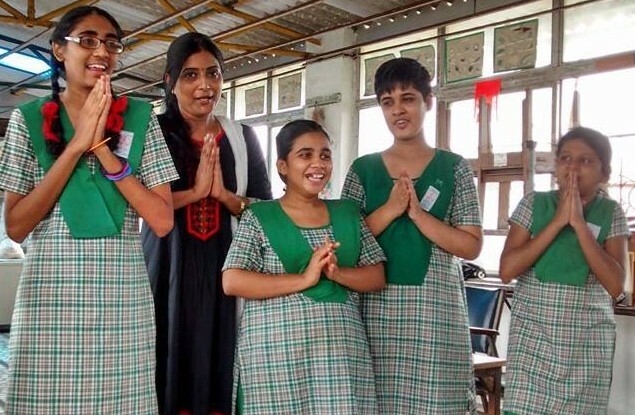 Jaya Tiwari, a Divine Healing Hands Soul Healer trained by Master Sha, wanted to bring more happiness and increase the well-being of students with mental challenges at a special needs school in India. After leading weekly chanting sessions of Love, Peace and Harmony for more than six months, the changes among the children were profound. Students with anxiety issues became calmer and more peaceful. The incidence of violence among children with anger issues significantly decreased. Some children who had difficulty speaking coherently were able to express themselves for the first time. Students were able to listen to their caretakers, and their level of comprehension and awareness had increased. Read more inspiring stories on how Love, Peace and Harmony is spreading throughout the world. Donate now and help spread Love, Peace and Harmony throughout the world. If you would like to share Love, Peace and Harmony with your community, please explore these resources. If you would like to support efforts to increase the happiness and well-being of families, join the Love Peace Harmony Foundation in assisting other nonprofit humanitarian organizations who are working to make a difference in the lives of people worldwide. The Tarayana Foundation is a non-profit organization working to uplift and enhance lives of vulnerable individuals and communities in Bhutan, a small and remote kingdom nestled in the eastern edge of the Himalayas. One of the Tarayana Foundation’s objectives is to enable children from disadvantaged families to pursue higher education. The Love Peace Harmony Foundation is excited to collaborate with the Tarayana Foundation to give need-based scholarships to deserving students from rural communities to pursue not only elementary and secondary education, but also professional education at universities in Bhutan and abroad. The Love Peace Harmony Foundation has supported families in Nepal through WandAid. This nonprofit organization, created by The Linda Cruse Foundation, empowers challenged communities impacted by natural disaster, political crisis and disadvantage by providing immediate humanitarian aid. The Love Peace Harmony Foundation contributed $10,000 to support the efforts of WandAid.